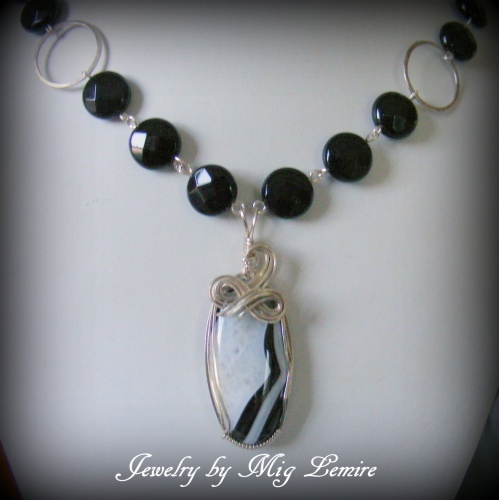 This gorgeous Onyx gemstone necklace has faceted disc onyx beads and spaced out hammered sterling silver discs. 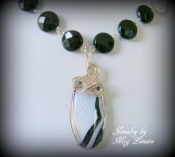 Focal is a dramatic banded agate with sterling silver framework. Piece has a locking sterling silver clasp.